Go to dublinbridges.org and enroll to assist others in need. Our guest speakers today were Rick Bannister, who founded Westerville Bridges just over a year ago and has expanded that to Neighborhood Bridges. In addition, Jill Kranstuber, co-director of Dublin Bridges joined our meeting. What began with Rick's simple idea has become a huge success in connecting advocates for those in need in our suburban Columbus communities to volunteers in the community who can fill the needs. Using email and social media to connect advocates to volunteers, the Neighborhood Bridge has connected over 500 advocates to fulfill over 8,000 needs in the first 400 days. As Rotarians, we can be both volunteers - of goods, services or financial assistance - and we can be advocates. Dublin Bridge has a 100% success rate in fulfilling the requests for assistance that advocates have brought forward. Many of these are coming from advocates within the Dublin City Schools. Other advocates include Washington Township Fire, Dublin Police, Syntero, Welcome Warehouse, and the Dublin Food Pantry. 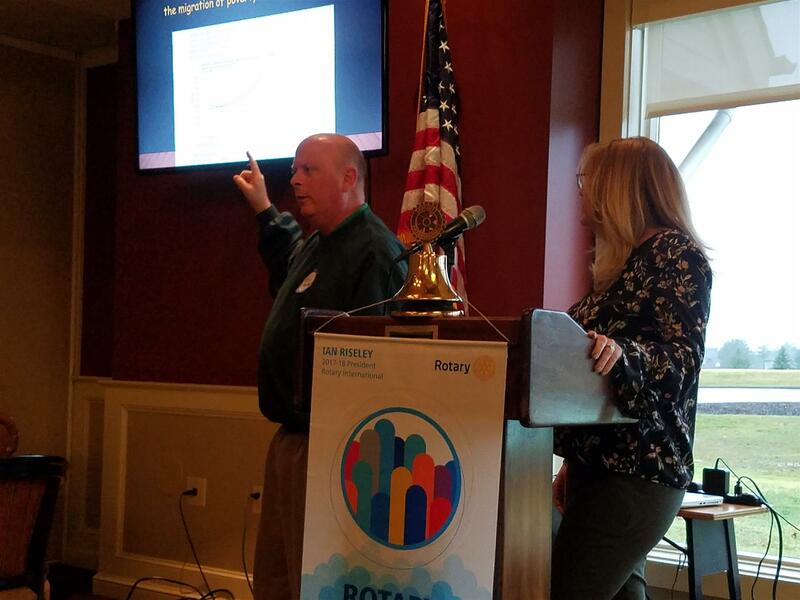 Rick, who is a member of the Westerville Rotary and Westerville School Board, explained that since 2000, the percentage of those in the U.S. living below the poverty line in the suburbs has grown to exceed that of the inner cities. 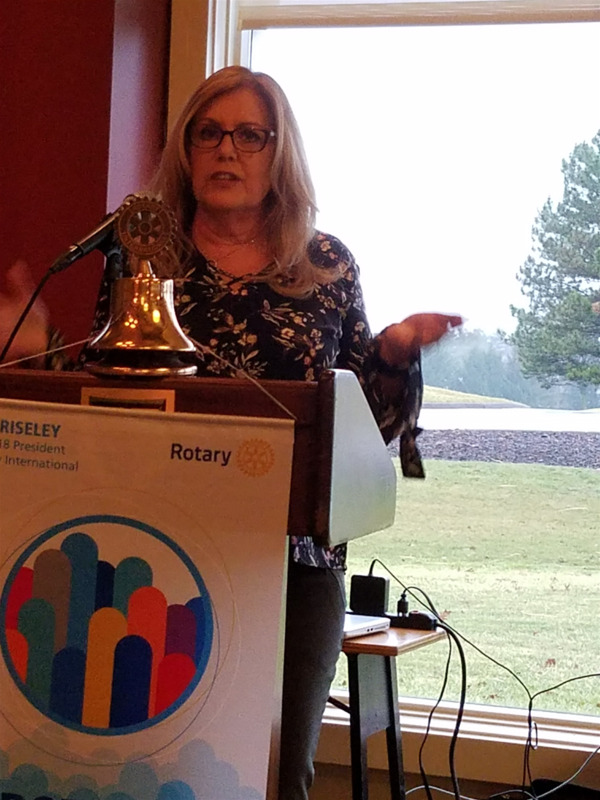 Jill and Rick shared several heartwarming stories about how moving the kindness of the community has been to readily fulfill a wide range of needs to others in their community. More than 15 of our Dublin AM Club members took the challenge and signed up during the meeting and hopefully many more will do the same! Blarney Bash is March 10th - Go to the Blarney Bash website dublinblarneybash.com/volunteer to sign up for a volunteer shift. Remember that you'll be required to attend Alcohol Server Training if you are signing up to volunteer for beverage serving. Congratulations to the Polar Bear committee (Sinan and Pete especially) for a record-breaking fundraising year ~$8,800! 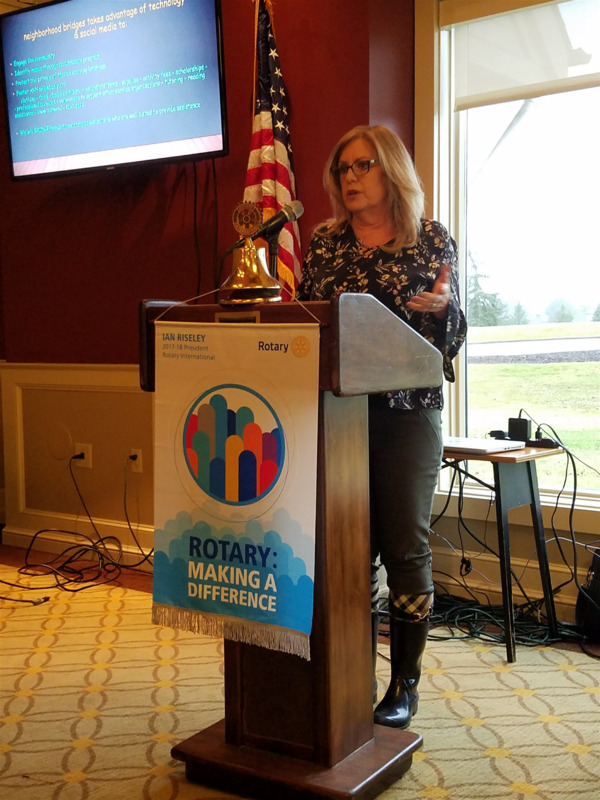 Watch for an email from Bonnie about a program on March 8th at 5PM with the District Governor and a discussion about giving to Rotary. March 16th is the tour of Tolles and Luncheon. If interested, reach out to Claudia.